Christmas and the Holidays are literally right around the corner. 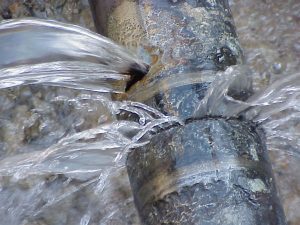 With just about a week to prepare for family and guests that will be celebrating with you for the Holiday’s and New Year, it may be the right time to make sure your septic and plumbing system is up to par. Read on for this year’s Christmas and Holiday Plumbing Tips. Make sure you include a small bin in the bathroom to help encourage guests to toss trash instead of flushing them. The only things that should be flushed are human waste and toilet paper. Not even paper towels or cotton swabs are to be flushed. If you have multiple bathrooms in your home, try to make them both available to guests during your holiday get-together. This will help alleviate the amount of stress on your plumbing fixtures. If you have shelves above the toilet, make sure that items on the shelf are secure to avoid items from accidentally dropping into the toilet. Keep a plunger near by in case you need to clear up a minor clog. Keep garbage disposals in good working condition by being careful what you put in them. Avoid fibrous materials such as corn-husks and celery and be sure to run cold water for 15 seconds after use. Go here for more on Garbage Disposals. Never put fats, oils and grease down drains to prevent dangerous and expensive clogs and to keep your garbage disposal working properly. If in doubt on what you can put down your garbage disposal, just toss it in the trash. Also, just scrape your plates into the trash to allow minimal use on your garbage disposal. Guests like hot water. Don’t let the hot water run out by turning up the water heater in your home. However, be careful for scolding hot water. Temperatures should not reach more than 125 degrees Fahrenheit. Get your water heater inspected or do some quick preventive maintenance. Follow our Guide to Maintaining your Water Heater for a quick step-by-step DIY. If it’s been 2 to 3 years since your last septic pump-out, it’s time you get one scheduled. The last thing you want is for backups or slow draining in your home while visitors are enjoying the full swing of the holidays. Use our BioOne bacterial septic and drain treatment product. It keeps your drains free and clear of clogs while enhancing solids breakdown in your septic tank. Please take the time this year to go over your septic and plumbing systems before the Holiday. Give our techs at Lapin Services a call if you are having any problems or would like us to take a look at your system. The last thing we want is for you to have any plumbing mishaps or septic catastrophes while your family and friends are enjoying each other’s company. Merry Christmas, Happy Holidays, and have a happy New Year! 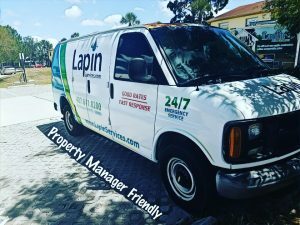 For your Plumbing, Septic Tank, Drainfield or Commercial needs – please call Lapin Services.